Royal Domina combines the wickedly potent and crystal covered bud of Black Domina, with the enticing aroma and exotic genetics of Kalijah. The result is a hybrid quite like no other, offering users high yields of some deep, dank, and blissful bud tailor made for ultimate relaxation and tongue tantalisation. Royal Domina has a flowering time of roughly 7-8 weeks. Royal Domina is one of the Royal Queen’s more exotic creations, combining the eclectic genetics of Black Domina with those of the equally complex Kalijah. The result is a stable cannabis strain that draws its traits and influences from strains across the globe, bringing them all together into a juicy, potent and easy growing plant. 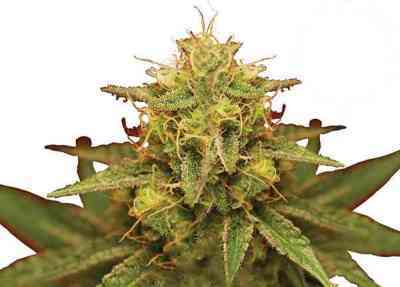 When grown indoors, Royal Domina will stay relatively short, growing to between 90-130cm tall. It makes her well suited to growers with constrained space. As she flowers, Royal Domina’s buds become coated in a thick layer of frosty resin. She has the potential to produce up to 575g/m² indoors, after a flowering time of 7-8 weeks. 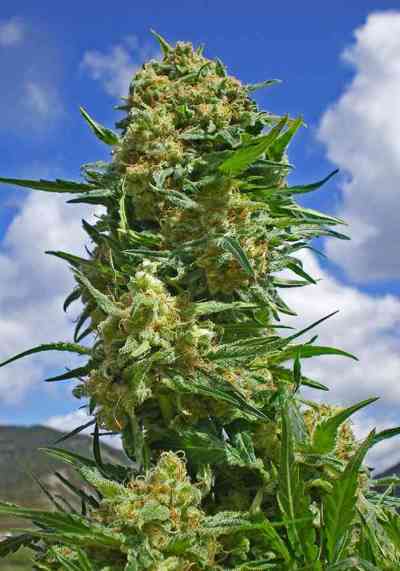 Outdoors, Royal Domina will grow a little taller, producing much more bud per plant. In warmer, ideal conditions, she will reach heights varying between 140-180cm, and produce up to 600g per plant. Royal Domina is usually ready for harvest by Late September/early October. The taste and aroma produced by Royal Domina focus around earthy, citrus tones that ride a gentle wave of sweetness. The combination is mouth-watering, and one that connoisseurs will certainly enjoy. The effects induced by Royal Domina are potent, heavy and deep. She takes the mind and body into the far reaches and unfathomable depths of relaxation and bliss. With a THC content of 20%, expect to be chilling on the couch or in the garden, with a possible pleasant lockdown should you have too much. Royal Domina is all about flavour and unbridled relaxation. So kick back and get lost in the music as she caresses your soul!